Improve the appearance of your home and property with a new paved driveway. 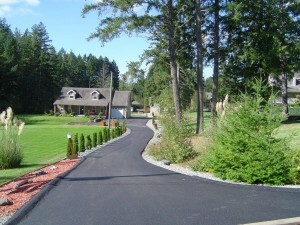 We can prepare and pave a new driveway, or repair and overlay your existing driveway to give it a fresh new look. 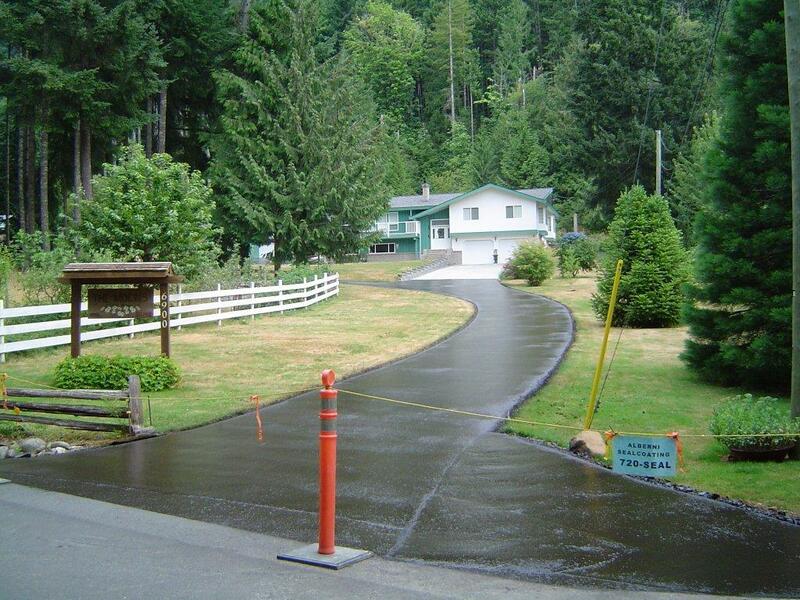 We also build asphalt curbs as required for water control. All work is fully guaranteed and it costs you nothing for an obligation free estimate. 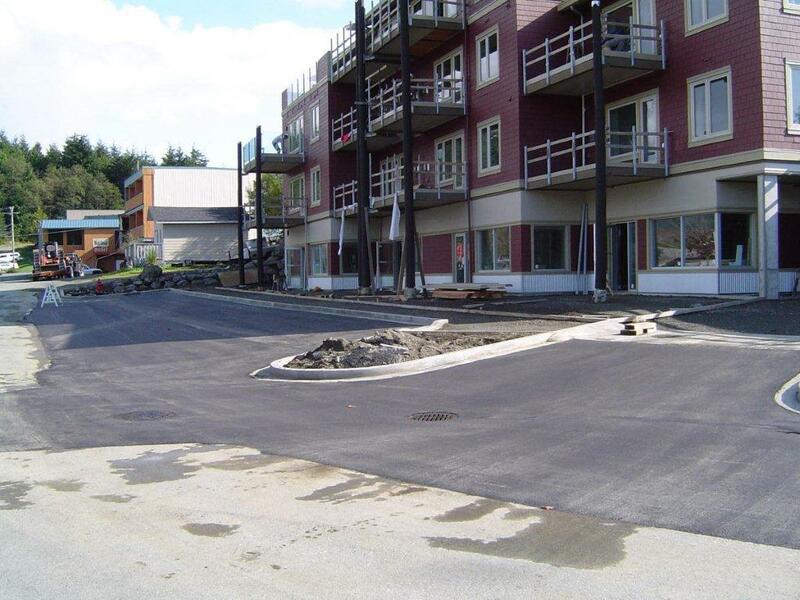 We are fully equipped to pave new parking lots and perform maintenance on existing lots as required, from pothole repairs to major patches and complete overlays. 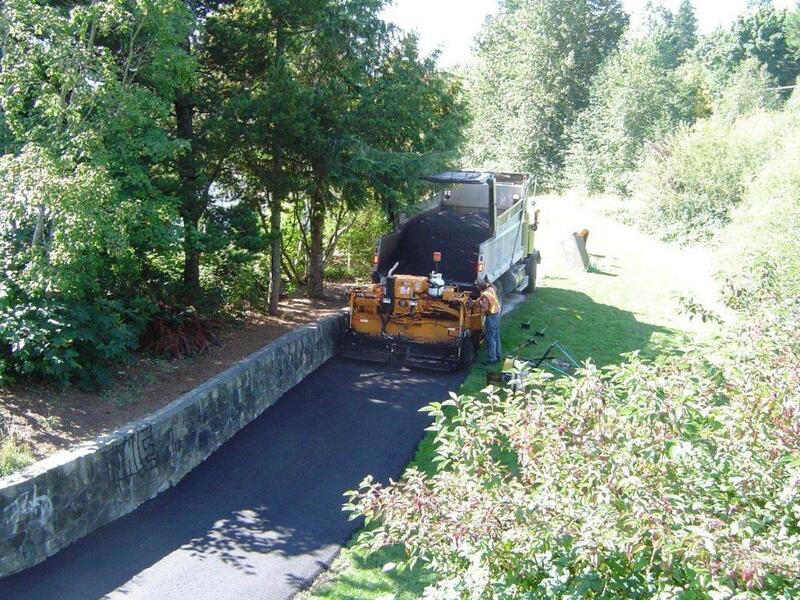 We can grind damaged areas or cut out and remove entire sections and repave. We also build asphalt curbs and speed bumps for traffic control. 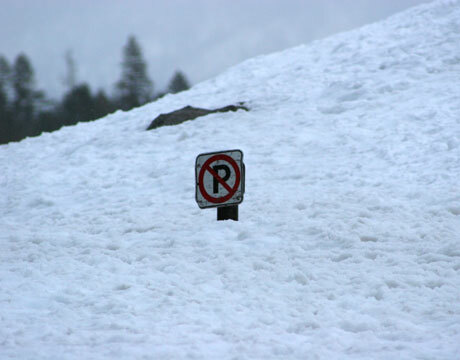 In season we offer snow removal and ice control service. From industrial roads and bridge approaches to dry land log sorts and mill yards we are able to pave new projects or repair existing facilities as required. When performing industrial jobs we work with our customers to minimize downtime at their facility by working on weekends or evenings. On repair work we have the equipment to grind the edges of patches to ensure a strong edge on the repaired area. 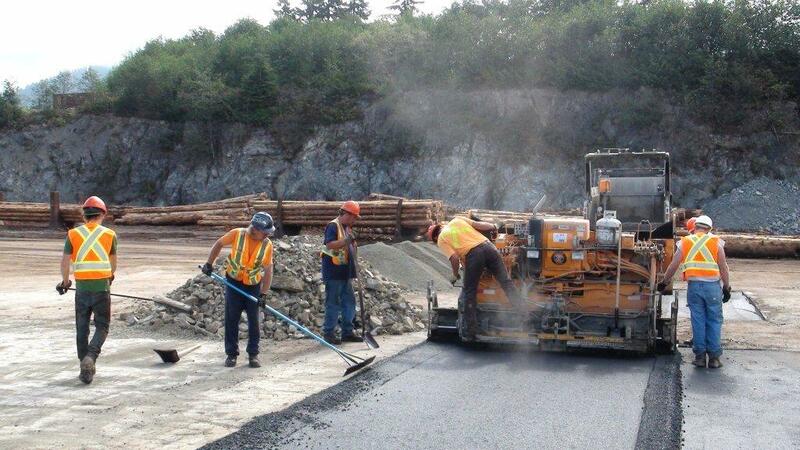 We work with municipalities, first nations, school districts and regional districts doing road maintenance, paving new roads, bicycle paths ,playgrounds, tennis courts and parking lots. We also install speed bumps and asphalt curbing for traffic and water control purposes. Oour Sealcoating is done by professionals with industrial grade products. Product is applied under pressure to yield a New Look.